Your Baby Has Sleep Problem, This May Be The Case - Babies are the most beautiful gems that are present in every family. But sometimes the baby has trouble sleeping that causes the baby is always crying because they feel tired. How much newborn sleep? Newborn babies will usually sleep about 16-17 hours a day, but in one sleep only 1 - 2 hours ago woke up. At the age of 6 months upwards, babies need time to sleep about 12 - 16 hours per day. At this age, the baby still often wakes up in a few minutes and then he will fall asleep again. Actually, this condition is a sign of body resistance against germs. However, this condition can be disturbing if the mucus in the baby's nose is too much to make it difficult to breathe. To overcome a congestion in the baby's nose is to make the snot that is on the baby's nose by sucking the baby's snot and giving the baby a warm water vapor that is given a little eucalyptus oil. This eucalyptus oil can be used to relieve hunger congestion that is in the baby's natural. Reflux or spit will be marked if the child removes the liquid milk from his mouth. This condition is different from vomiting. Reflux is actually not a dangerous condition, but there are some conditions that need to be aware of. For example, gumah more than 2 tablespoons, spit newly started at age more than 6 months, baby refused to eat, weight not up, look lethargy, shortness of breath, and discharge of liquid green, brown, or mixed with blood. If the baby experiences the above conditions immediately bring your baby to the doctor to get professional handling. Ear infections by bacteria or viruses can cause fluid buildup on the back of the eardrum affected by the infections. This condition can be identified by changes in the baby's mood. Babies will be fussy and often cry than usual. Another sign is the appearance of fever, colds, or sinus infections in infants. If this has arisen, immediately check your child with the doctor to get proper treatment. Growing teeth first is normal for infant growth. However, the process of teething can last long enough and painful. A number of teething baby signs include drooling, red and swollen gums, red cheeks, difficulty sleeping at night but always being active during the day, eating less voracious, and fussy and uneasy. Some things can be done to anticipate teething babies, such as giving teething toys, rubbing baby's gums, with a clean finger or flannel hook, providing healthy snacks and cold drinks. This condition is a very serious condition that can interfere with the baby's breathing system during sleep. Although the baby channel has a risk of sleep apnea, it is more common in premature infants born before 37 weeks of pregnancy. Other conditions that can increase the risk of sleep apnea in infants are Down Syndrome and congenital abnormalities that interfere with the upper respiratory tract. Many parents will ask how to get newborn baby to sleep at night? Here are some steps to creating a safe and comfortable sleep condition. Prepare a comfortable bed with a fitted mat and fit-sized. Give your baby enough intake of food, creating a condition of the bedroom with minimal lighting, Communication with a soft voice, and give a warm touch. Sleep your baby in supine position and avoid an ugly position that can increase the risk of sudden infant death syndrome (SIDS). 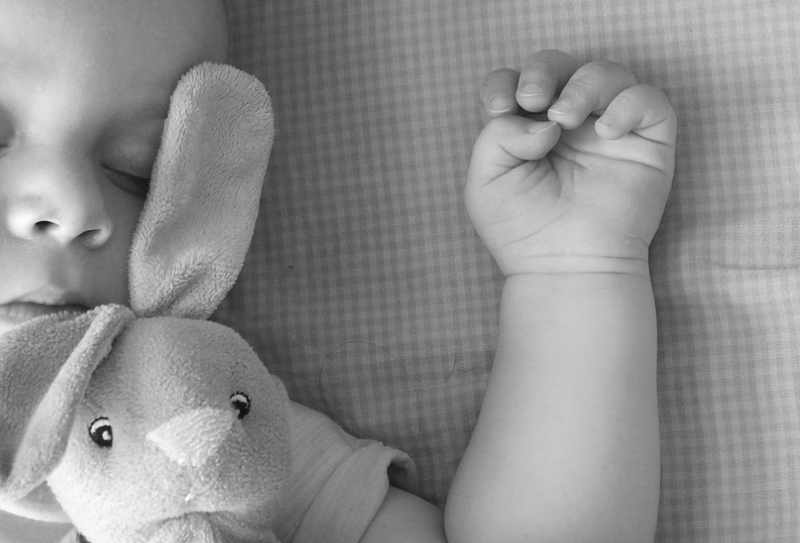 Avoid extra items in the crib, such as pillows, bolsters, dolls, toys, or blankets that can't make the babies sleep. Keep the room temperature in the crib less hot and not too cold.